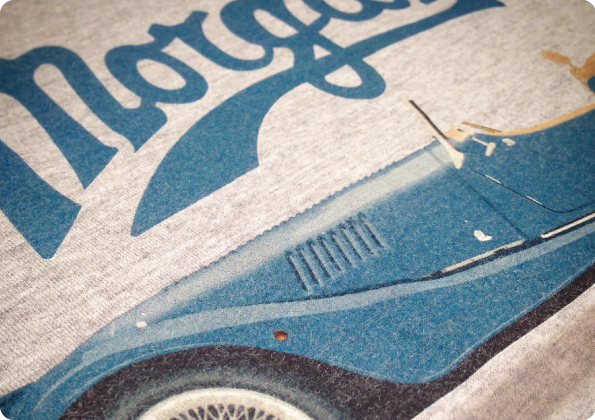 We’ve been heavily involved with direct-to-garment printing from its main stream inception roughly ten years ago. Often referred to as simply DTG, this new and constantly developing technique is perfect for creating stunning multi-colour designs in very small volumes, providing the only realistic way of producing retail grade bespoke one off designs. The trade off between the flexibility of DTG is the speed of production which is vastly slower than that of traditional screen printing. However attempting to create a full colour design on just a few items with screen printing is often not economically feasible. 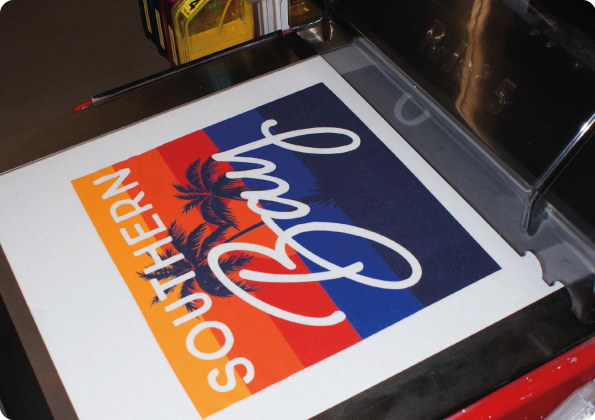 DTG removes the upfront costs of stencil setup therefore finally making multi-colour short runs commercially viable. Perfect for short run multi-colour designs. Allows for product sampling prior to commissioning larger volumes. No setup costs or origination charges. Perfect for print-on-demand and web-to-print clients.